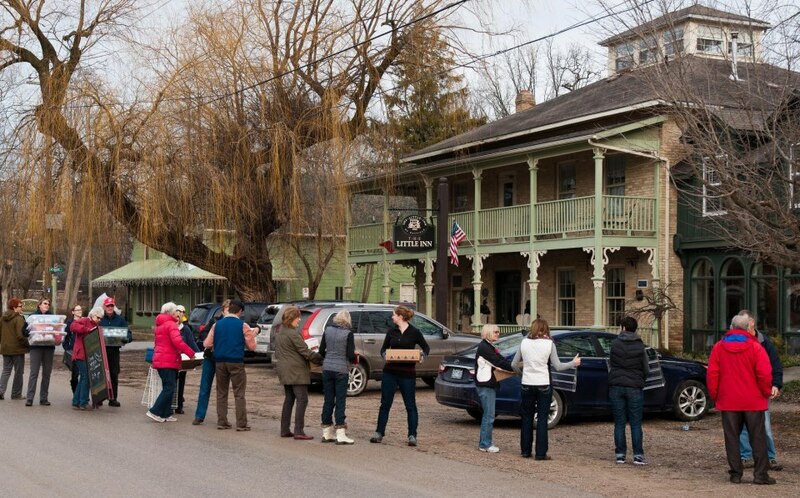 Back in January a corps of volunteers known as the Book Brigade helped move books from the former location on Catherine Street by forming a human chain for passing the boxes along to their new home at 24 Main Street, in the Village of Bayfield. 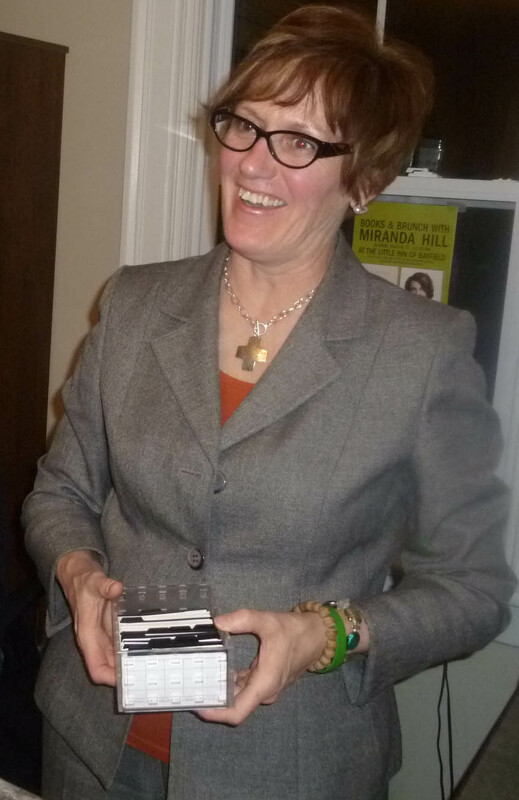 Mary Brown, owner of the Village Bookshop, held the grand opening Saturday night to thank the volunteers who so generously assisted with the move. 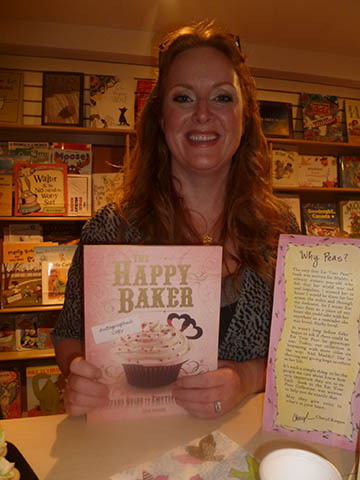 Music by Harpist Sharon Johnston and sweets made by the Happy Baker Chick added special touches to this special evening of fellowship at the Book Shop. 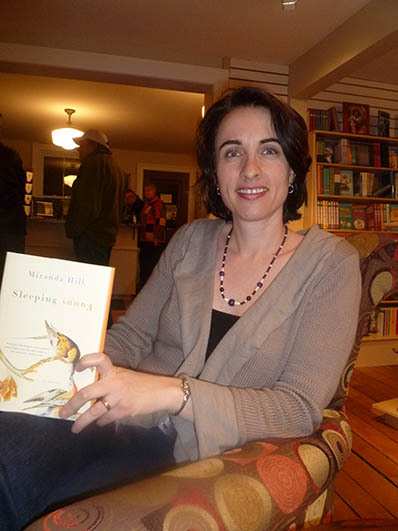 I was delighted to meet Miranda Hill, author of a short story collection Sleeping Funny as well as old friends Peter & Joan Karstens of Brentwood on the Beach. 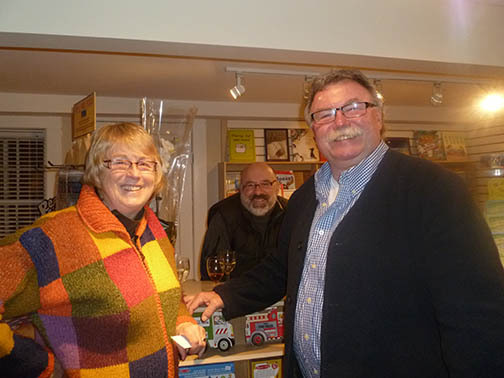 The Village Bookshop still offers best sellers, new releases, children’s and regional titles. They also carry an excellent collection of Canadian Author books and hold Meet the author and book reading/signing events throughout the year. Do drop in next time you’re in Bayfield.